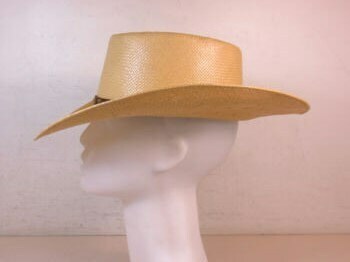 Very cool vintage straw Stetson hat. 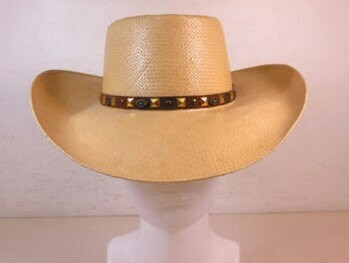 Features unique leather studded headband with metal beaded tassels around hat. Sized 56/7, 4X. 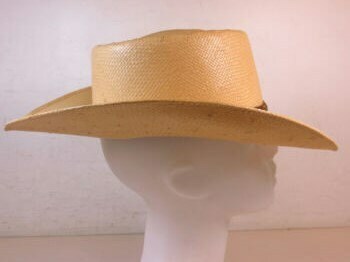 Paper tag in the black leather brim of the hat reads Dune 150 color, Tanya Ville style, size 7 oval, 312 style brim. Measures approx. 6"x13"x13". For a smaller head. 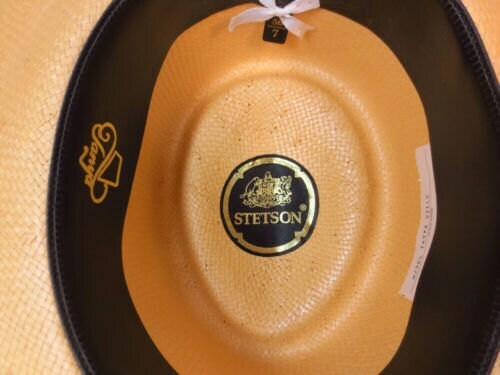 The "Tanya" style is not currently available with Stetson. Very good condition. 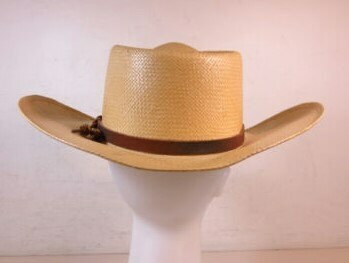 Perfect hat for your cowgirl!